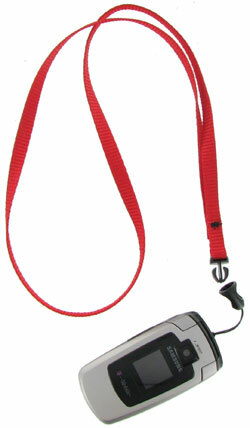 Durable 3/8" polyester lanyard with USB or cell phone attachment. Side squeeze quick release hardware for the convenient release and reattachment of USB drive or cell phone. The lanyard is available in six great colors: black, navy, royal, red and hunter green. Lanyards for USB Drives and cell phones are also available with a custom imprint.